N. Eldon Tanner, former member of the Quorum of the Twelve and First Presidency, once said: “It has ever been so, the chosen of the Lord must serve an apprenticeship in suffering even as Job, Paul, and Christ himself. (The Improvement Era, Aug. 1961, p.572). But why is it man must suffer? Why trials, tribulations, and adversity? There are no easy answers. We do not know all the Lord’s designs and purposes regarding His children. They have not all been revealed. The Lord himself stated that during the millennium “he shall reveal all things- Things which have passed, and hidden things which no man knew, things of the earth, by which it was made, and the purpose and the end thereof” (D&C 101:32-33; emphasis added). Likewise, George Q. Cannon, also a former member of the Quorum of the Twelve and First Presidency, taught: “God has placed us here upon the earth to accomplish important purposes. One stated purpose of mortality is given in the Book of Abraham. During the grand council, the Savior declared: “We will go down, for there is space there, and we will take of these materials, and we will make an earth whereon these may dwell; And we will prove them herewith, to see if they will do all things whatsoever the Lord their God shall command them; And they who keep their first estate shall be added upon; and they who keep not their first estate shall not have glory in the same kingdom with those who keep their first estate; and they who keep their second estate shall have glory added upon their heads for ever and ever (Abr. 3:24-26; emphasis). Shortly after this divine purpose was revealed to God’s spirit children, a war broke out in heaven. Led by Lucifer or Satan, a third part of Heavenly Father’s children rebelled against the plan. But many of God’s spirit children stood loyal to Him. A similar test is happening in mortality. To a gathering of priesthood brethren, President Cannon declared: “We have got to be watchful, for I tell you God has sent us here to test us and to prove us. We were true in keeping our first estate. The people that are here today stood loyally by God and by Jesus, and they did not flinch. If you had flinched then, you would not be here with the Priesthood upon you. The evidence that you were loyal, that you were true and that you did not waver is to be found in the fact that you have received the Gospel and the everlasting Priesthood. “Now you are in your second estate, and you are going to be tested again. Will you be true and loyal to God with the curtain drawn between you and Him, shut out from His presence, and in the midst of darkness and temptation, with Satan and his invisible hosts all around you, bringing all manner of evil influences to bear upon you? The men and the women that will be loyal under these circumstances God will exalt, because it will be the highest test to which they can be subjected” (Gospel Truth, 1:7). The story of Job is a test of loyalty. The book of Job “narrates the afflictions that befell a righteous man, and discusses the moral problem such sufferings present” (LDS Bible Dictionary, p. 713). The main moral question raised in the Book of Job is what is the cause of suffering. “The book of Job does not entirely answer the question as to why Job (or any human) might suffer pain and the loss of his goods. It does make it clear that affliction is not necessarily evidence that one has sinned. The book suggests that affliction, if not for punishment, may be for experience, discipline, and instruction” (LDS Bible Dictionary, p. 714). The Biblical account tells us that Job lived in the Land of Uz. (1:1). Uz was a large region east of the Jordan River incorporating several political entities from as far north as Damascus (the Aramaens or Syrians) to Edom in the south. We are told that Job “was a perfect man and upright” (1:1). The Hebrew of this phrase is literally “complete and straight” and is indicative of the integrity of Job’s character. The Hebrew word translated perfect is tmm or tam and literally means complete, mature, or finished (see Brown, Driver, Briggs, Hebrew and English Lexicon of the Old Testament. Oxford: Claredon Press, p. 1070). But it also has the denotation of “a sound and healthy body” as well as “blameless, innocent, sincere, quiet, peaceful, pious, pure, healthy” and even upright, honest, and loyal (see “./; [tmm]” in New International Dictionary of Old Testament Theology & Exegesis, 4 vols. Grand Rapids, MI: Zondervan, 1997. 4:306). The phrase “perfect and upright” means that he was blameless and just. Or in other words, he was spiritually and morally upright. We are also told that Job eschewed evil (1:1). Eschewed translates the Hebrew word sur, meaning ‘to turn away from’ (Hebrew Lexicon, p. p. 693). Thus Job shunned evil. The account also tells us that Job had seven sons and three daughters (1:2) and was very wealthy (1:3). Both in Job 1 and 2, we are told of assemblies of the “sons of God’ (JST account says “children of God) “before the LORD” (1:6-12; 2:1-6). The place and time of these assemblies are not mentioned. However, the scene probably does not have reference to a heavenly assembly but an earthly assembly. Menahem Haran has noted that in the Bible, the phrase “‘before the Lord’ can be considered an indication of the existence of a temple at the site, since this expression stems from the basic conception of the temple as a divine dwelling-place and actually belongs to the temple’s technical terminology” (Temples and Temple Service in Ancient Israel, Winona Lake, IN: Eisenbrauns, 1985. p. 26). The phrase “sons of God” or “children of God” is a phrase used to refer to those who have made covenants with God (see Moses 6:64-68; 8:12-15). So the assembly probably consisted of faithful Israelites who had come to the temple (perhaps Solomon’s temple in Jerusalem) to carry out their religious devotions to God. While doing so, Satan came among them probably to tempt and distract them. It seems likely, though it is not stated, that Job was among the “sons of God” who had come to the temple and became the object of a conversation between the LORD and Satan. In this conversation, the righteousness of Job was discussed. Satan responded that Job’s righteousness was due to the protective power of God and not of his own doing. “Hast not thou made an hedge about him, and about his house, and about all that he hath on every side? thou hast blessed the work of his hands, and his substance is increased in the land.” He then said, “But put forth thine hand now, and touch all that he hath, and he will curse thee to thy face” (1:10-11). The word ‘touch’ translates the Hebrew word, naga, which can mean to touch, strike, or hurt (William Holladay, A Concise Hebrew and Aramaic Lexicon of the Old Testament. Leiden, Holland: Brrill, 1988, p. 227). The Lord allowed Satan to afflict Job not kill him (1:12; 2:6). The afflictions heaped upon Job resulted in the loss of his possessions, his children, and eventually his health. How much power is Satan given to try and afflict man? In October 1962 General Conference, Elder Eldred G. Smith taught: “Going back to the story [of Job] now to get the principle I was looking for, we note that Satan had power to do only what God had permitted him to do. Satan did not win that war in heaven. He was cast out of heaven to do what the Lord wanted him to do, to test and try and torment man. Satan, then, has power on this earth only as the Lord permits and as we yield to his temptations. “Do you think a just God would permit Satan to try us beyond our power to resist? Then the Lord will always give us power to resist if we will remain true and faithful to the end and seek the Lord and his guidance in all the trials and difficulties, even though we may think they are unjust. Nearly all of us go through some experience in this life of sickness, disease, trouble, financial difficulties, many even born with difficulties and handicaps — not because of any cause on their part as we see it, but because that is the part that the Lord wants us to go through as a trial and temptation to see if we will prove faithful to the end, in spite of these conditions, which are as far as we are concerned without cause” (Conference Report, Oct. 1962, pp. 61-62). After the first set of afflictions, Job exclaimed: “Naked came I out of my mother’s womb, and naked shall I return thither: the LORD gave, and the LORD hath taken away; blessed be the name of the LORD” (1:21). Job’s attitude regarding the loss of temporal things reflects his righteousness. Such must be the disposition of those who would obtain an inheritance in the celestial kingdom. Of this, President Harold B. Lee taught: “To be poor in spirit is to feel yourselves as the spiritually needy, even dependent upon the Lord for your clothes, your food, the air you breathe, your health, your life; realizing that no day should pass without fervent prayer of thanksgiving, for guidance and forgiveness and strength sufficient for each day’s need. If a youth realizes his spiritual need, when in dangerous places where his very life is at stake, he may be drawn close to the fountain of truth and be prompted by the Spirit of the Lord in his hour of greatest trial. Our account tells us that in the face of his afflictions, “Job sinned not, nor charged God foolishly”(1:22). This statement reveals Job’s loyalty to God. The afflictions had not turned his heart away from God. What a remarkable attitude! There are many who, if they had experienced what Job had, might have turned their backs on God questioning His love. But not Job. How is such an attitude obtained? At least in part, such an attitude is gained through an understanding of the revealed purposes of mortality. Though we do not know all the reasons why we are in this life, the scriptures and the prophets have taught some basic reasons that must be learned and always remembered. One of the fundamental reasons we are in this life is to experience the contrasts of good and bad. Lehi explained: “For it must needs be, that there is an opposition in all things” (2 Nephi 2:11). Opposition is essential in order to have genuine and accurate knowledge of a thing. The Lord stated that “if [men] never should have bitter they could not know the sweet” (D&C 29:39; emphasis added). Only by experiencing opposites can we comprehend for opposition gives definition. Again, Elder Pratt explained: “For instance, suppose you had never tasted anything that was sweet–never had the sensation of sweetness–could you have any correct idea of the term sweetness? No. On the other hand, how could you understand bitter if you never had tasted bitterness? Could you define the term to them who had experienced this sensation, or knew it? No. I will bring another example. Take a man who had been perfectly blind from his infancy, and never saw the least gleam of light–could you describe colors to him? No. Would he know anything about red, blue, violet, or yellow? No; you could not describe it to him by any way you might undertake. But by some process let his eyes be opened, and let him gaze upon the sun beams that reflect upon a watery cloud, producing the rainbow, where he would see a variety of colors, he could then appreciate them for himself; but tell him about colors when he is blind, he would not know them from a piece of earthenware. “So with Adam previous to partaking of this fruit; good could not be described to him, because he never had experienced the opposite. As to undertaking to explain to him what evil was, you might as well have undertaken to explain, to a being that never had, for one moment, had his eyes closed to the light, what darkness is. The tree of knowledge of good and evil was placed there that man might gain certain information he never could have gained otherwise; by partaking of the forbidden fruit he experienced misery, then he knew that he was once happy, previously he could not comprehend what happiness meant, what good was; but now he knows it by contrast, now he is filled with sorrow and wretchedness, now he sees the difference between his former and present condition, and if by any means he could be restored to his first position, he would be prepared to realize it, like the man that never had seen the light” (Journal of Discourses, 1:285-286; emphasis added). The purpose of the creation of this earth was to provide a place where opposites not only exist but are experienced. Brigham Young observed: “Facts are made apparent to the human mind by their opposites. We find ourselves surrounded in this mortality by an almost endless combination of opposites, through which we must pass to gain experience and information to fit us for an eternal progression.” (Journal of Discourses, 11:42). Lehi concluded that if opposites did not exist the earth would “have been created for a thing of naught; wherefore there would have been no purpose in the end of its creation” (2 Nephi 2:12). With no opposites there could be “no joy” for there would be “no misery” (2 Nephi 2:23). The earth was created, therefore, that man “might have joy” (2 Nephi 2:25) and joy can only come by experiencing misery. And now note this: “Adam and Eve--and we— knowingly and lovingly absolved God of the responsibility for the ‘thorns and thistles’ of a fallen world that was personally chosen by us, not capriciously imposed by him. We wanted the chance to become like our heavenly parents, to face suffering and overcome it, to endure sorrow and still live rejoicingly, to confront good and evil and be strong enough to choose the good. 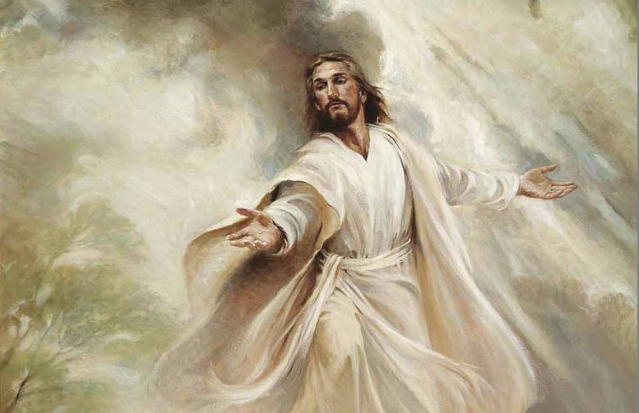 In this telestial, mortal world filled with competing voices, enticements, and experiences, we get a lifetime of opportunity to refine and strengthen these virtues” (Christ and the New Covenant, Salt Lake City: Deseret, 1997, pp. 202-204; emphasis added). Job’s declaration – “Naked came I out of my mother’s womb, and naked shall I return thither: the LORD gave, and the LORD hath taken away; blessed be the name of the LORD” – was his way of absolving God from the responsibility of the afflictions which had come upon him. He was able to do so because of his knowledge of the plan of salvation. He knew why God allows but does not cause suffering in man. “The absence of such precious and plain perspective can result in resentment toward life and, unlike the response of stout Job, in our ‘[charging] God foolishly’ (Job 1:22)” (Neal A. Maxwell, But for a Small Moment, Salt Lake City: Bookcraft, 1986, p.109). Job’s testing was not finished with the loss of his possessions, children, and health. His wife turned against him. She said to him: “Dost thou still retain thine integrity? curse God, and die (Job 2:9). (Interestingly enough, the Hebrew word translated ‘integrity’ is from the same word translated ‘perfect’ in 1:1, tmm.) “Her question could be a taunt. ‘Do you still insist on maintaining your integrity? What good has it done you?’ If so, she has already lost faith, and wants Job to join her. At best her suggestion expresses a sincere desire to see Job out of his misery, and the sooner the better” (Francis Andersen, Job, Downers Grove, IL: Inter-Varsity Press, p.93). Job responded: “Thou speakest as one of the foolish women speaketh. What? shall we receive good at the hand of God, and shall we not receive evil? In all this did not Job sin with his lips”(2:10). Do not misunderstand what Job was saying. God does not cause man’s trouble; he allows it. This was portrayed accurately in Job 1-2 where God allowed Satan to afflict Job. This concept was clearly taught in a First Presidency message given at the beginning of World War I: “God, doubtless, could avert war, prevent crime, destroy poverty, chase away darkness, overcome error, and make all things bright, beautiful and joyful. But this would involve the destruction of a vital and fundamental attribute in man — the right of agency. It is for the benefit of His sons and daughters that they become acquainted with evil as well as good, with darkness as well as light, with error as well as truth, and with the results of the infraction of eternal laws. Therefore he has permitted the evils which have been brought about by the acts of His creatures, but will control their ultimate results for His own glory and the progress and exaltation of His sons and daughters, when they have learned obedience by the things they suffer. The contrasts experienced in this world of mingled sorrow and joy are educational in their nature, and will be the means of raising humanity to a full appreciation of all that is right and true and good” (Messages of the First Presidency of The Church of Jesus Christ of Latter-day Saints [1833-1951]. 6 vols. Clark, James R., ed. Salt Lake City: Bookcraft, 1965-1975, 4:325-326). So what was Job saying? He was saying to his wife that in God’s allowing troubles to come upon His children, man can be tested, or disciplined, or gain spiritual growth. We are told later in Job, “Behold, happy is the man whom God correcteth: therefore despise not thou the chastening of the Almighty” (5:17). A further test of loyalty came when three of Job’s friends tried to convince Job that his afflictions were the result of sin (chapter 22). They tried desperately to get Job to confess and repent of his sins. But Job refuted their claim (chapter 31). Job knew he has not sinned and does credit God with undue punishment. One of the messages of the book of Job is that sin is not always the reason people suffer. The idea that afflictions are the result of sin was generated by the covenant relationship between Israel and God. Moses gave instructions to Israel that when they entered into the land of Canaan, they were to go to the sacred city of Shechem and enter into a covenant relationship with Jehovah (see Deut. 27-28). As part of the ritual, the tribes of Israel were to literally yell out the designated blessings and curses that would come upon them for either their obedience or disobedience. A look at the various curses (Deut. 28:15-68) demonstrates that Israel would experience many calamities as result of their disobedience. Israel entered into this covenant relationship after the entered the land of promise (Joshua 8: 30-35). As a result whenever the covenant was broken by the people in general, the nation suffered various afflictions (e.g., famine, etc). Because of this, the idea developed among them that whenever one sins he is afflicted or punished by God. But the afflictions Israel was to experience as a result of a broken covenant were at a national level, not at the individual level. The concept of national punishments was expressed by George Mason, a delegate to the constitutional convention that produced the Constitution of the United States of America. During the convention, the topic of slavery was bitterly debated. On August 22, 1787, in an impassioned speech, Mason gave this chilling warning that reflects the concept of national punishments: “As nations cannot be rewarded or punished in the next world, they must be in this. By an inevitable chain of causes and effects, Providence punishes national sins by national calamities” (Notes on Debates in the Federal Convention of 1787 Reported by James Madison. New York: W.W. Norton & Company, 1966,p. 504). However, individual suffering is not necessarily an indication that the individual is being punished by God for their sins. The book of Job expressly refutes that idea. Job’s strength lay in his testimony of God and the plan. His loyalty to God are depicted in these words: “Though [God] slay me, yet will I trust in him: but I will maintain mine own ways before him. He also shall be my salvation: for an hypocrite shall not come before him” (13:15-16). His loyalty was solid and could not be moved. He declared: “Oh that my words were now written! oh that they were printed in a book! That they were graven with an iron pen and lead in the rock for ever! For I know that my redeemer liveth, and that he shall stand at the latter day upon the earth: And though after my skin worms destroy this body, yet in my flesh shall I see God: Whom I shall see for myself, and mine eyes shall behold, and not another; though my reins be consumed within me (19:23-27). After having his loyalty thoroughly tried and tested, Job was blessed of the Lord. The Lord restored to Job all the blessings he had before his affliction: “the LORD gave Job twice as much as he had before. . . . So the LORD blessed the latter end of Job more than his beginning: for he had fourteen thousand sheep, and six thousand camels, and a thousand yoke of oxen, and a thousand she asses. He had also seven sons and three daughters” (42:10-13). Like Job our loyalty tested. The Lord has said: “And I give unto you a commandment, that ye shall forsake all evil and cleave unto all good, that ye shall live by every word which proceedeth forth out of the mouth of God. For he will give unto the faithful line upon line, precept upon precept; and I will try you and prove you herewith” (D&C 98:11-12) The word of God is given to man through prophets, scriptures, and personal revelation. Our loyalty is proven when, regardless of our circumstances and feelings, we strive to live by “every word” He gives us. In our present world, one of the greatest tests of loyalty will be how faithful we are to the teachings and counsel of the prophets. Harold B. Lee once observed: “As I have labored among the brethren here and have studied the history of past dispensations, I have become aware that the Lord has given tests all down through time as to this matter of loyalty to the leadership of the Church. I go back into the scriptures and follow along in such stories as David’s loyalty when the king was trying to take his life. He wouldn’t defile the anointed of the Lord even when he could have taken his life. I have listened to the classic stories in this dispensation about how Brigham Young was tested, how Heber C. Kimball was tested, John Taylor and Willard Richards in Carthage Jail, Zion’s Camp that received a great test, and from that number were chosen the first General Authorities in this dispensation. There were others who didn’t pass the test of loyalty, and they fell from their places” (Conference Report, April 1950, p.101). The blessings of loyalty will be beyond our understanding. Early in the Nauvoo period of Church History, Joseph Smith warned the Quorum of the Twelve of impending tests of loyalty that all members of the Church will. But he also told them that if they proved faithful, they would receive great blessings. These are his words: “After a person has faith in Christ, repents of his sins, and is baptized for the remission of his sins and receives the Holy Ghost, (by the laying on of hands), which is the first Comforter, then let him continue to humble himself before God, hungering and thirsting after righteousness, and living by every word of God, and the Lord will soon say unto him, Son, thou shalt be exalted. When the Lord has thoroughly proved him, and finds that the man is determined to serve Him at all hazards, then the man will find his calling and his election made sure, then it will be his privilege to receive the other Comforter, which the Lord hath promised the Saints”(Teachings of the Prophet Joseph Smith. Salt Lake City: Deseret Book Press, 1938, p. 150; emphasis added). May we, who are living in a world that is rapidly becoming as the days of Noah (Matt. 24:27), be found loyal to God and His prophets by being obedient to “every word” we are given. Further, may our loyalty be found not only in our actions but also our heart and desires. From this article does the unfortunate statement, "Sometimes we have to make the wrong choices to get to the right place" ring true.